Every pet owner understands the challenges of maintaining a clean home. Even the most well-behaved cats and dogs cause accidental spills, scratches, and stains. This is why it is important for you to invest in resilient flooring! Our flooring store is committed to helping homeowners find new flooring that maintains its appearance, even under excessive pet activity. We are familiar with the most durable options included in our flooring selections, which means our associates can educate you about which styles will prove most beneficial for your home. Whether you own one pet or multiple pets, it’s safe to say that you likely find yourself frequently picking up after your animal companions. 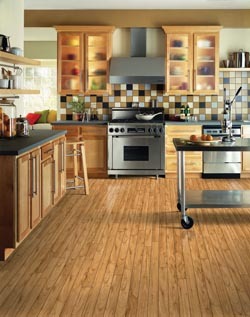 Our stylish and durable easy-care flooring will make your cleaning process easier than ever before. Instead of spending hours scrubbing that stain out of the carpet, or fearing spilled liquids will seep into the floors, you can feel confident that our improved flooring products will simplify this aspect of your daily routine. Simply stop by our showroom today to begin perusing our selection of pet friendly flooring. Are You Interested in Stain Resistant Carpet? While carpet is known for being cozy, comfortable, and classic, it is also known for becoming dull and worn more quickly than other types of flooring. Innovations in floor manufacturing now mean that the latest carpet styles are durable and resilient, as well as attractive. Our stain resistant carpet is available in a range of different options, meaning it can fit seamlessly within any interior design scheme. Not only will the floor experts from our team educate you about the practical benefits of this carpet option, but they will even extend their professional service into your home! We perform professional installations for all of our floor products, including carpet, vinyl tile, regular tile, hardwood, and more. For more information about resilient flooring, contact us at your earliest convenience! You can also stop by our store and our knowledgeable flooring associates will show you the many pet-friendly options we carry in-stock. Our professional services are available in Syracuse, Fayetteville, Manlius, Skaneateles, Cicero, Central Square, Van Buren, Salina, Minoa, East Syracuse, Fairmount, Solvay, Lyncourt, Westvale, Phoenix, Brewerton, Onondaga, Marcellus, Pompey, Lafayette, Cazenovia, Tully, Fabius, Elbridge, Cato, Fulton, Granby, Mattydale, Chittenango, Baldwinsville, Liverpool, Clay, Camillus, North Syracuse, and all of Central New York.